Constraint-logic object-oriented programming, for example using Muli, facilitates the integrated development of business software that occasionally involves finding solutions to constraint-logic problems. The availability of object-oriented features calls for the option to use objects as logic variables as well, as opposed to being limited to primitive type logic variables. 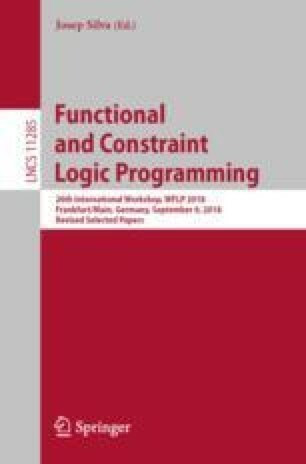 The present work contributes a concept for reference type logic variables in constraint-logic object-oriented programming that takes arbitrary class hierarchies of programs written in object-oriented languages into account. The concept discusses interactions between constraint-logic object-oriented programs and reference type logic variables, particularly invocations on and access to logic variables, type operations, and equality. Furthermore, it proposes approaches as to how these interactions can be handled by a corresponding execution environment.